Analysis as a concept is followed by almost every human being on a regular basis, particularly when carefully planned tasks go wrong. Scrutiny regarding every aspect is taken into consideration and when the root cause is identified, there lays a solution to the problem. Isn’t this the most common concept followed by most of us when there is a problem? It indeed is. Similar is the case with businesses when they use data analysis to deal with problems. Business analytics empowers business owners and marketing professionals to analyze the trend of business opportunities and this analysis assists the businesses in positioning their products in the market. It is generally observed that business intelligence helps the conversion of raw data into valuable business information that determines business decisions. It has been observed that companies which administer the concept of data analytics often outperform their counterparts. Extracting data and converting them into useful information which involves meticulous efforts, that is why organizations opt for services from data companies. The vitality of the market today has compelled companies to be proactive and adapt to the changing situations. The organizations that have access to data analysis allow business owners to seek success beyond the conventional norms. Data reveals information that is valuable to the company and tapping to this potential data is unavoidable for an establishing company. Data assist the firms in drawing various inferences especially on the basis of past events but which is equally helpful in preparing for the future. These analytical solutions are deployed through the technique of data mining which helps in create feasible and powerful business solutions. The study of data is a part of various industries today such as healthcare services, retail services, financial services and many others. These data provides deep understanding of driving factors that are related to buying behavior of customers, sales performance of a product, and many other similar details and this helps the companies in creating a niche in the market. These services allow businesses to gain insight in various and different aspects of business which allows them to plan their future hence providing confidence in every aspects of business. The scenario of today is such that excess of data is being churned from various sources which are either structured or unstructured, for an example the information from social media, organization application, mobile and internet. It is said that the available data is doubling every twelve months and is only expected to increase further. This volume and variety of data which are overwhelming the organizations from taking informed decisions at a rapid rate. This overload of data is referred to as the Big Data and that was when the concept of Data Analytics stepped in. It is evident that organizations require information and knowledge to remain upbeat with the competition. 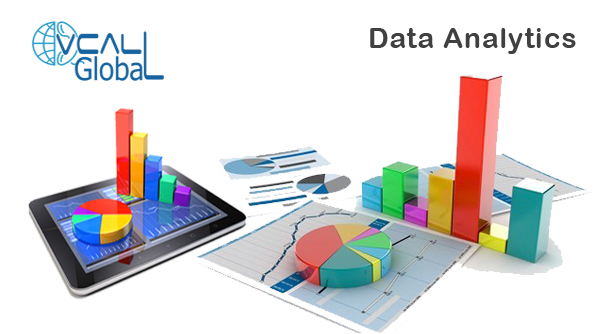 Data Analytics helped industries in various situations in keeping them always at the forefront. For an example in the retail industry, the retailers are provided with information related to the shopping preferences of the customers which often leads to increased revenues. This provides a win-win situation for both the parties as the consumers gets offers and information he is interested in and the retailer relishes the revenue growth and loyalty of his customers. Analyzing of data helps the retailers make intelligent decisions which at the same time provides a competitive edge to the firm. Data Analytics has potential benefits in more than one segment i.e. Healthcare, Telecom, and Financial etc. For an example the hospitals can go through the patient’s records and identify the patterns of diseases which will save a lot of time both for the doctor and the patient. The obvious advantages are accurate diagnosis and treatment which helps ensure lower insurance costs. In the telecom industry, there are more than 750 billion subscribers and the amount of data is colossal and clearly the data is to their advantage. These analyses can help telecom companies devise those services which have been proven beneficial so that they can subscribe them to the customers accordingly which provides opportunities for value added services leading to a better customer service. The examples cited above provides a glimpse of how data analytics can have tangible impact on results by providing them with concrete data. Before embarking on this endeavor the enterprises must ensure that they need to evaluate their organizations landscape and options available and devise the best suitable plan for their business. This is done in order to avoid expensive missteps.